The cost to equip one regular office can be quite large and can pose problems in the budget. But we have a very clever solution – you can create a wonderful work space in your own home that will cost you quite less then a regular office. Working from home is becoming increasingly important and that way are growing and the ideas how to make it more convenient and interesting. Many of us want to work from home, because this is more comfortable and this way can be more productive and more economical. The home office is a blessing for all those who want to start a new business but still do not have enough funding for all necessary equipment. If you live in a big house you can afford a bright room for your daily work space. But in the smaller residential facilities is difficult to perform it, so we offer you a creative solution that will fit to all your standards. 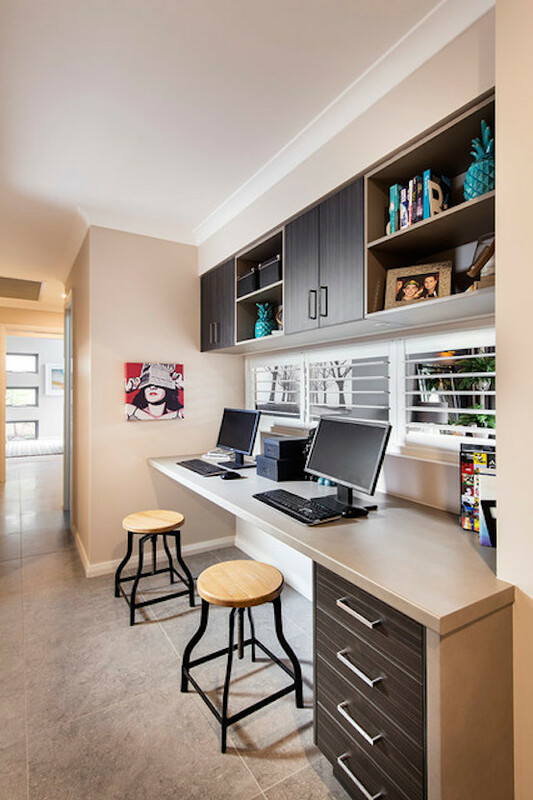 Unused corners and ends of the hallway and all unused space in the living room, bedroom or even kitchen can be the perfect place for your dream home office. These are very practical ideas, not occupy much space and provide you a smooth work. The key for creating effective home work space is simplicity, good organization and proper decorating. Take a look at these alternative solutions and find inspiration for decorating your fascinating home office that everybody gonna love it!